This extraordinary seabird is holding its own but barely, with warming ocean temperatures and commercial overfishing making its summer breeding more and more tenuous. Due to hunting and egg collecting for food and sport, puffins were wiped out of much of their original breeding range. Thanks to Audubon’s Project Puffin, puffins have been brought back to islands where they had been wiped out. 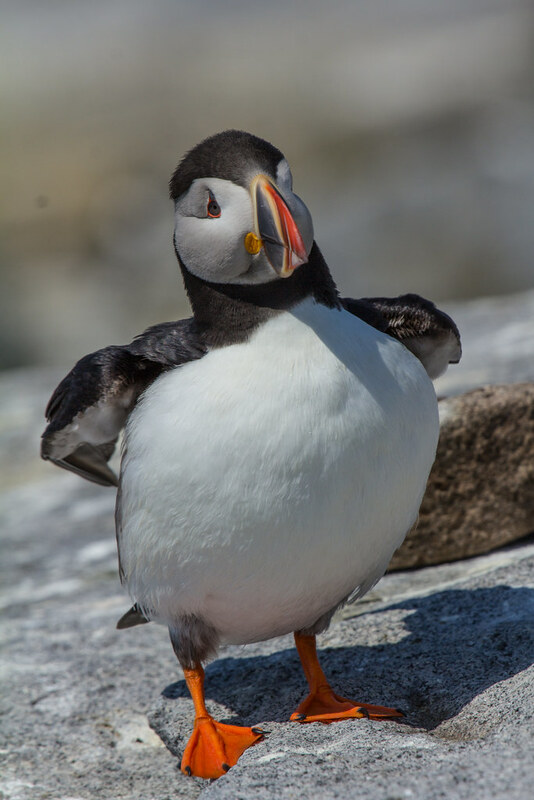 Learn more about their important work on Project Puffin’s website.